Irresistibly cheerful! 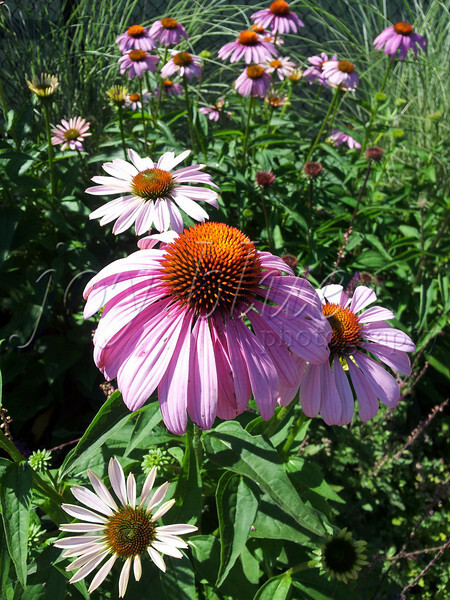 Purple cone flowers—15 July 2013 The health club is one of my happy places—I appreciate the daily endorphins, to be sure. As a bonus, the grounds are beautifully planted. There are all sorts of exotic-looking flowers in the pool area; but, these simple flowers along the parking lot sidewalk make me smile every time.